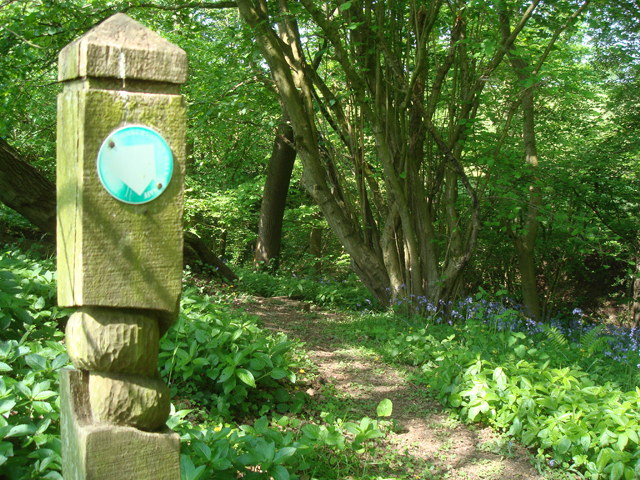 In 2006 we received a grant from the Heritage Lottery to build a nature trail on our favourite route across the farm. The route crosses the farm through many types of landscapes including open pasture, orchards, streams, a valley, woodland and our 12 acre wildlife site. Now if you are very lucky you might see 3 very special ponies on your walk. These ponies look after our wildlife site as they do not eat the wildflowers and prefer the rougher types of grazing. They are called Duncan and Tabasco and they are Exmoor ponies. 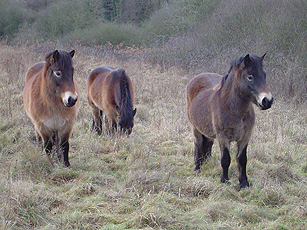 The Exmoor is considered the oldest pure breed pony in Britain. They are 'free living' and are particularly hardy and able to withstand all weathers. They are 'endangered' on the Rare Breeds Survival Trust List.There are less than 1000 left worldwide!